Heat oil in a pan, saute mustard seeds,fennel seeds,curry leaves,coriander leaves,then chopped onions and chopped tomatoes. Add the ground greenchillies-ginger-garlic paste,1/2 tsp turmeric powder,chilli powder and garam masala powder.let it simmer for 3 mins. 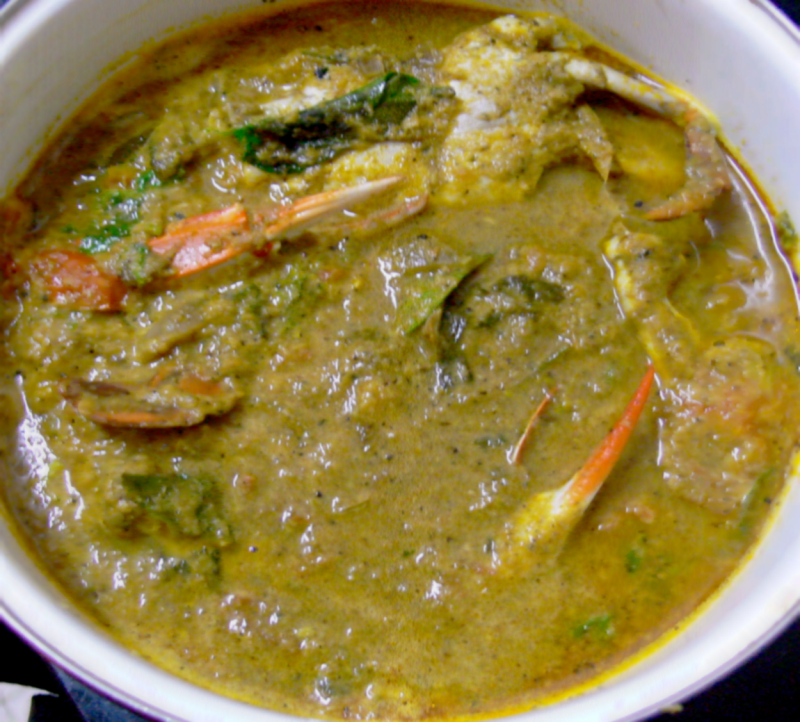 Add the crabs(cleaned with turmeric powder and salt) ,coriander-mint paste,coconut-ground masala,3 cups water and salt and cover the pan and cook for 15 mins. When the crabs got cooked ,sprinkle lemon juice on top and turn off the flame. Serve this hot with rice or chapathis or idlis.